Adjusting the sound settings on the iPad can be very useful, especially in the classroom where certain sounds can be a distraction to learning while others can be effective management tools. I suggest turning the "Change with Buttons" feature on to enable quick volume adjustment via the physical volume buttons on the side of the iPad. 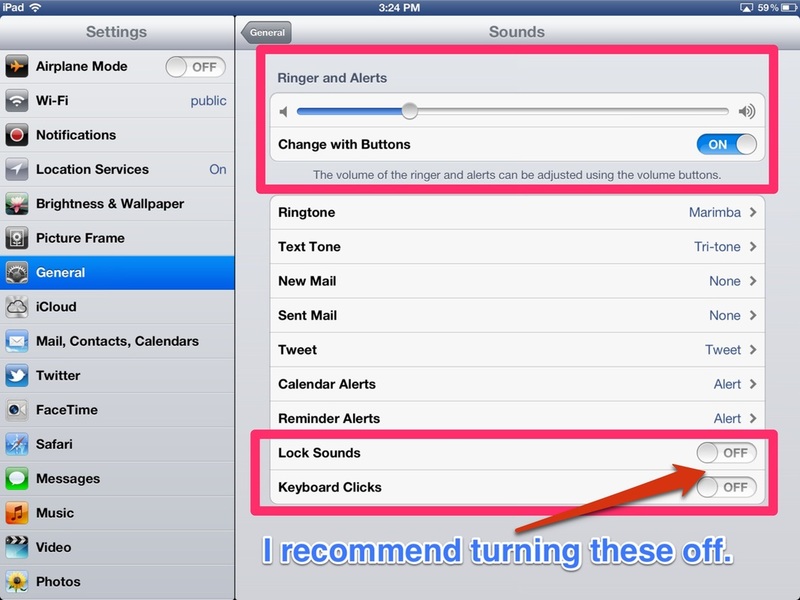 I also suggest turning the "lock sounds" and "keyboard clicks" off.